Where are the best places to buy West Algarve property? If you’re thinking about buying a west Algarve property, you’re giving yourself the chance of a genuine “picture postcard” lifestyle. In fact, if you were to conjure up a postcard image of Portugal, the chances are that it would involve one of the stunning cove beaches in this region. When people mention the West Algarve, there are actually two areas they could be referring to. The literal West Algarve is the west-facing area of the region, where the coastline curves up in the direction of Lisbon, beyond Cape St Vincent. This is a sparsely-populated area of sparkling wild beaches and small villages, and it has lots to offer. However, most of the time, people discussing the West Algarve mean the western end of the south-facing Algarve coast. This is an area that spreads from just past Albufeira to the surfer’s paradise of Sagres. It’s also the area we discuss in this guide. Towns like Lagos are especially popular for West Algarve property. The West Algarve is a breathtakingly beautiful part of the world. The main towns and resorts sit between the mountains and the sea, and the beaches are hugely varied. However, the ones that create the best postcard images are the secluded, rocky coves of places like Praia de Marinha and Praia de Dona Ana. The latter is one of many beaches in the vibrant city of Lagos. This is undoubtedly a region where sun, sea and sand are the main attractions. However, there’s plenty more to the area. Your West Algarve property could just as easily be a country villa as a beachfront apartment. Inland in this region, the air is thick with the scent of orange blossom and there are still plenty of families living a traditional Portuguese lifestyle. Thanks to its popularity with tourists, the West Algarve is packed with amenities and attractions. There’s no shortage of golf courses, watersports facilities, marinas and health spas. For those who fancy something a little crazier or have children to entertain, there’s the huge “Slide and Splash” waterpark or the more laid-back Lagos Zoo. When it comes to drinking and dining, the options are endless. The resort towns deliver plenty of international cuisine as well as Portuguese favourites. Meanwhile, those who’d rather relax among the locals can choose village bars and restaurants. Alternatively, there’s central Portimão, which is largely ignored by tourists on their way to the huge resort of Praia de Rocha. The West Algarve gets a big tick for practicality too; There are numerous shopping centres in the region, including the huge “Aqua” mall in Portimão. For even more shopping options, it’s only a short drive to the Algarve’s new designer outlet mall and the IKEA store in Loulé. If you buy a West Algarve property, your route there will inevitably involve Faro airport. The airport is very well organised after significant upgrades. By car, the trip along the A22 (toll) motorway from the airport takes between 40 and 70 minutes, depending on where in the West Algarve you’re headed. The A22 runs all the way to Lagos. Beyond that, places such as Praia de Luz, Burgau and Sagres involve trips along smaller roads. The Algarve’s train line also terminates in Lagos, so there’s a public transport option for many towns in the West Algarve. Buses and coaches from Faro are an option too. It is, however, worth noting that these forms of transport can take quite a while to make the journey along this coastline. Furthermore, these journeys sometimes prove stiflingly hot in the peak of summer. Connections to Lisbon are good. You have the option of driving along the A22 and joining the A2 toll road. Alternatively, you can use the train line and connect with a high-speed Alfa Pendular train service. Either way, you can be in Portugal’s capital in a few stress-free hours. If you’re thinking about buying the West Algarve, don’t miss the next Your Overseas Home show in Epsom on 10th November for a chance to speak face-to-face to legal, property and financial experts. In this section, we look at some of the key towns and resorts along this desirable area of Portugal, starting nearest the airport and heading west. It’s important to note that there are plenty of smaller towns and villages along the way. One of the wonderful things about the West Algarve is that the region accommodates all types of lifestyle. If you want to be in a busy resort, you can be. But if you’d rather be hidden away in a detached villa or a sprawling, rustic country pile, that’s possible too. We begin inland in Silves, a historic fortified town built on the banks of a river, and home to a stunning castle. Silves has a population of around 11,000. While there are international residents in the area, the feel of the town is distinctly Portuguese. Life here is about simple pleasures, such as walks around the cobbled streets and long, lingering lunches at pavement cafés. It is, however, worth knowing that once a year, one of Portugal’s largest medieval fairs brings thousands of people to the town! Good quality apartments in the town cost from €120,000. Townhouses start at around €200,000. Villas in the surrounding area with plenty of privacy start from around €400,000. EXAMPLE PROPERTY: These high-quality condos are under construction, available for buying key-ready. They benefit from a communal pool, greenery and views over the golf course, all for just €240,000. Click on the image to view with West Algarve property. Carvoeiro is a popular hotspot for expats, and has been for generations. While the town beach is small, this is the jumping-off point for many of the regions most stunning coves, including Praia de Marinha. Simple apartments start at around €150,000. Villas nearby start at around €450,000, and the sky’s the limit for luxury homes in this area. Portimão is a place with two distinct halves. The city itself is an administrative centre and not really on the main Algarve tourist trail. However, visitors do venture into the town for its shopping centres and specialist fish restaurants. The main draw, for many, is the thriving resort of Praia de Rocha. 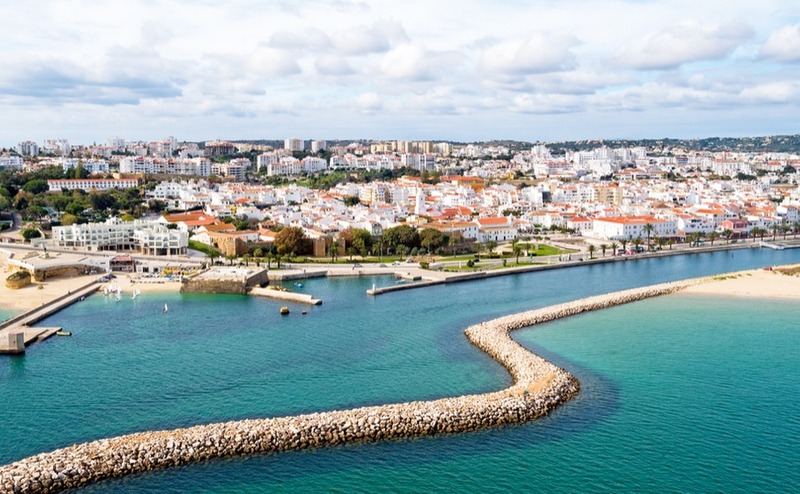 Backing miles of vast, sparkling beach, this is a place that’s part-brash and part-upscale, especially at the eastern end, which is technically the marina of Portimão. This area is home to luxury hotels and beach clubs. Portimão city centre is somewhere where it’s still possible to find a good apartment for less than €100,000 and a townhouse for below €200,000. These prices increase significantly nearer the beach and marina. Lagos has an atmosphere all of its own, and is a popular place to buy West Algarve property. Thanks to its serious surfing and boating credentials, the city attracts visitors from all over the globe. It’s the one place in the Algarve where it’s normal to see backpackers from the US and Australia. In the marina area, they rub shoulders with owners of luxury yachts. Lagos is somewhere that can suit everyone. This fact is beautifully illustrated with the contrast between the sleek marina and the bohemian old town. It’s also home to a fabulous fish market, and some of the best beaches in the region. Small apartments in Lagos start at around €120,000, but it’s possible to spend considerably more on modern homes in sea-front developments. For those with a big budget, there are plenty of glitzy villas in the surrounding areas. EXAMPLE PROPERTY: This immaculate one-bedroom apartment occupies an enviable position next to the marina, with a fantastic communal pool. Click on the image to view this West Algarve property. Praia da Luz has more of a resort feel and is very popular with Brits. The beach is excellent and the perfect place to start one of the region’s memorable clifftop walks. There are three major golf courses within miles of the town, all of which are hugely popular with residents and visitors. Simple apartments in Luz cost from around €130,000. For a detached villa, you’ll need around €420,000 or more. Burgau is a great example of the kind of uninterrupted village life you can enjoy in the West Algarve. 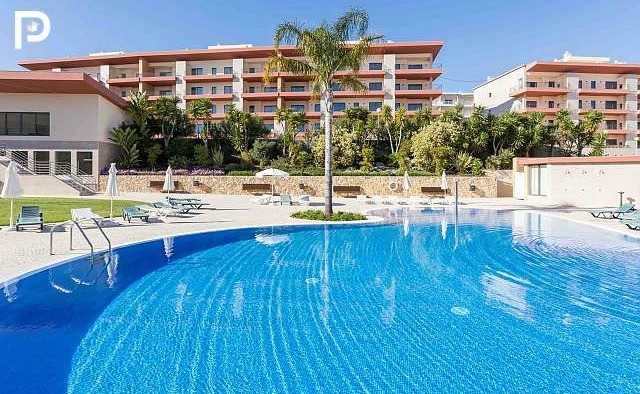 Located just west of Praia da Luz and Lagos, the village centres around a sheltered and sparkling cove beach (complete with a well regarded restaurant). Other than a few other restaurants, bars and shops, there’s little else here to disturb your peace. However, all the facilities of nearby towns are only a short hop away. Transport links aren’t quite so straightforward once you get to Burgau. It’s beyond the train line and the end of the A22 toll road. As such, a car is essential and you’ll need to allow a little more time for airport runs, but this pays off in terms of atmosphere and solitude. 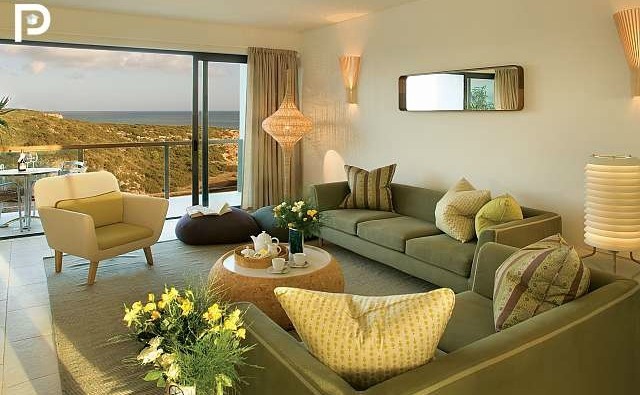 Sea-view apartments are available in Burgau from around €170,000. Townhouses begin at around €290,000. Choosing the right mortgage is vital to the success of your property purchase. We are happy to provide introductions to trusted mortgage specialists – they have over 20 years’ experience helping people like you to get the best mortgage possible and we regularly receive excellent feedback on them from our readers. No roundup of West Algarve property would be complete without a mention of Sagres. Located right next to Cape St Vincent, the “southwestern extremity of Europe,” this is a place loved by surfers and bohemians. It also lends its name to Portugal’s most popular beer. Sagres is a little out of the way in transportation terms, but a drive to Faro airport only takes around 90 minutes. If you like the idea of living somewhere with a unique atmosphere and a sense of history, it’s well worth a look. 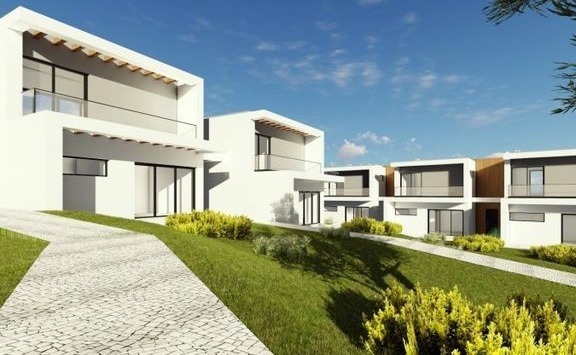 Villas and townhouses are popular options in Sagres, and typically start at around €400,000. EXAMPLE PROPERTY: This two-bedroom townhouse, selling at €650,000, offers fantastic views over the bay and unspoilt countryside. Martinhal Beach is just a short walk away. Tempted by some West Algarve property? 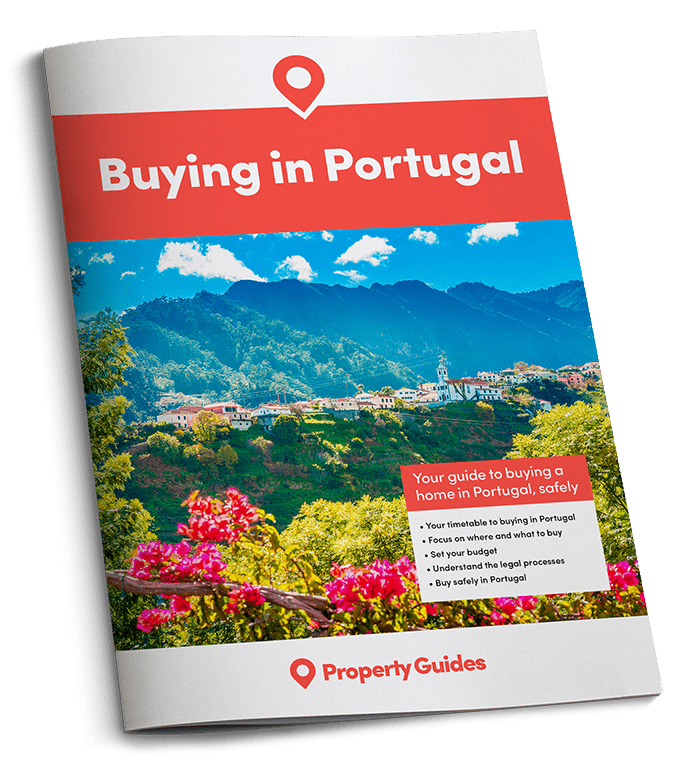 Don’t miss your free Portugal Buying Guide below. It’s packed with comprehensive information about purchasing in Portugal, so your new life overseas gets off to a smooth and hassle-free start.